Castel Nuovo (Italian: "New Castle") is a medieval castle. Castel Nuovo has been expanded or renovated several times since it was first begun in 1279. Before the accession of Charles I of Anjou to the throne in 1266, the capital of the Kingdom of Naples was Palermo. There was a royal residence in Naples, at the Castel Capuano. 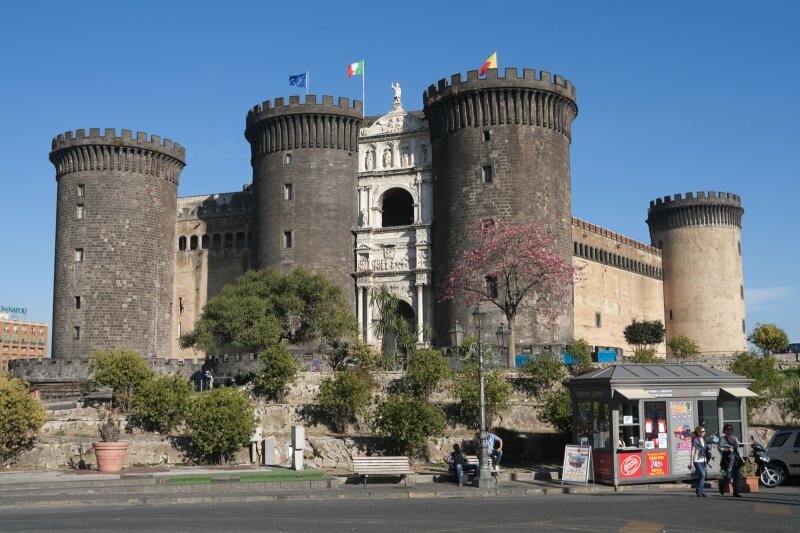 However, when the capital was moved to Naples, Charles ordered a new castle built to house the court. Works began in 1279 and were completed three years later.